EspañolAfter a nine-year legal dispute, the International Centre for Settlement of Investment Disputes (ICSID) ruled last Monday, November 1, that Ecuador must pay over US$1 billion to the US-based oil company Occidental Petroleum (OXY) as compensation for canceling a contract. The World Bank arbitration panel’s ruling, which is final, implies a 40 percent reduction of the original decision issued in October 2012, which compelled Ecuador to compensate the oil company with US$1.77 billion. OXY originally demanded a compensation of $3.4 billion. 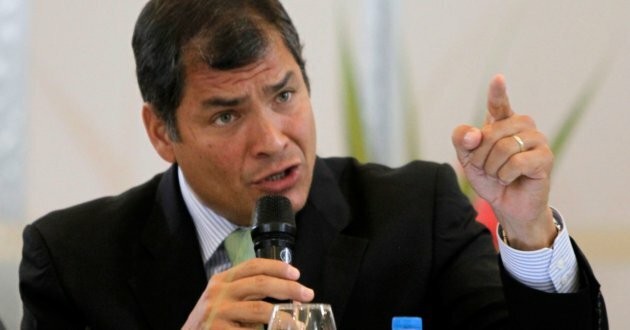 Ecuadorian President Rafael Correa welcomed the decision that reduced the compensation, but accused the ICSID of attacking the country’s sovereignty with a decision that favors the US oil company. …caducidad por incumplimientos legales, como confiscación. ¡Otro atentado a nuestra soberanía! …y con el laudo definitivo continuaremos negociando. ¡Otra obra más de los tratados firmados en la larga y triste noche neoliberal! Speaking during his weekly television show, Correa said that the government was ready to face an adverse ruling at the ICSID. “We have a lot of faith that the court will admit our action for annulment, but if the the opposite is the case, we are also ready,” he stated. The Ecuadorian authorities, however, didn’t provide any details regarding the steps they plan to take in order to comply with the decision. The OXY case began in 2006 during the presidency of Alfredo Palacios, who announced Ecuador’s decision to terminate a contract that gave the company permission to explore oil fields in the Amazon basin in the country’s northeast and extract 100,000 barrels of oil per day. The government alleged that the oil company breached the Hydrocarbon Law. Palacios’ government also claimed that OXY violated the contract’s terms in 2000 by selling 40 percent of the company’s shares to the Canada-based Alberta Energy Corporation, which later became Encana. The $1 billion penalty comes at a bad time for Correa’s government, which faces drastically reduced oil revenues. According to the Business Standard, the amount that Ecuador must pay OXY in compensation equals 3.3 percent of the country’s national budget for 2016.